BEI Fellow, Lauren Camp recently received honorable mention for the Arab American Book Awards. In her new collection, Lauren Camp explores the lives of a first-generation Arab-American girl and her Jewish-Iraqi parent. 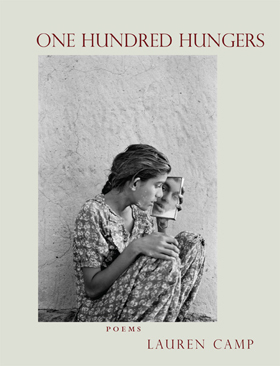 One Hundred Hungers tells overlapping stories of food and ritual, immigration and adaptation, evoking her father’s boyhood in Baghdad in the 1940s at a time when tensions began to emerge along ethnic and religious lines. She also draws upon memories of Sabbath dinners in her grandparents’ new home in America to reveal how family culture persists.